the bold and colorful collection from Paul Farrell. The UK-based artist and designer is inspired by color, nature and form to create his work. And if you’re as smitten as we are, you can shop the full assortment of cards, textiles and prints here. to see the new collection from Ferm Living. We dressed our dining room walls with the feather wallpaper and couldn’t be happier with the outcome. So, the new fall/winter 2012 collection leaves me wanting more Ferm Living in my home. They have an all new bath line, as well as some other killer pieces like pillows, baskets, flower pots, tea towels and SO much more. Check it all out here. my new favorites is Folksy, a site that showcases the work of UK designers and makers. It’s fun to browse the fab selection of goods, and one adorable little bird that might be neat to have around the house is this guy. It could be a nesting area for jewels or even used for serving snacks to visitors. For an even bigger selection of these hand crafted ceramics, check out all of the designer’s work here. with Rockett St George. This gem of a shop has a “unique and eclectic mix of homeware and gifts,” as they so perfectly state. I’ve got my eye on so many of the wonderful things Rockett St George offers, especially the Tie Dye Bedspread, this wallpaper and almost all of the lighting options they’ve got stocked. Really, it’s hard to narrow it down, so go take a peek and see what you might find. 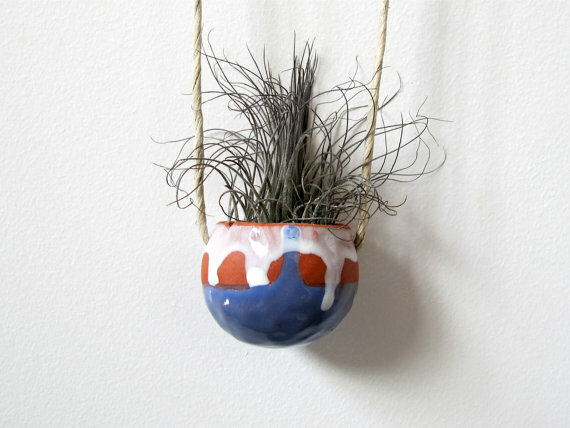 we wrote about the hanging air plant and once again Mudpuppy brings more gems like the Terracotta Hanging Ceramic Pinch Pot. This little beauty is handmade in Denver, Colorado and is sure to liven up any room. It also currently comes with the air plant, great bonus! small batches, these Oui Soy Candles are just one of things on my decor wish list. It’s definitely an investment, but the food safe ceramic dish can be re-purposed once the candle has been used up. I can envision using it to hold rings, soap or even some special shells collected from the beach. Sustainable and pretty too! and make your everyday dinnerware unique, and I mean truly unique by decorating your set with a sharpie. I have yet to try this, but apparently baking the finished work of art for 30 minutes at 150 degrees sets the design permanently. One of a kind, practical, inexpensive and clearly made with love. a must have item, but it sure would make a great housewarming gift. 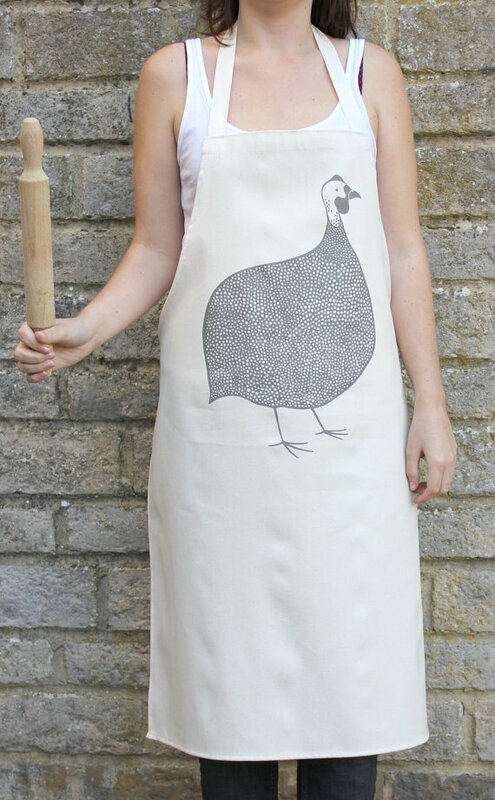 This cotton canvas apron is made in England and is hand screen printed with environmentally friendly water-based ink. Take a look at tea towels, prints, totes and more created by designer Stephanie Cole. on the couch with a cozy blanket at the end of a long day sure does make me happy. Oh yes, lets not forget that cocktail too. So with that being said, all of the throws from Faribault Woolen Mill Co. instantly grabbed my attention. The company was established in 1865 and has been making the highest quality blankets, throws, and accessories ever since. Go check out the full assortment of goods and while you’re there read up on the company’s heritage too – it’s a good one. Photo: Faribault Woolen Mill Co.
of Olioboard? Maybe you have and I’m the last one to the party, but this online community is pretty incredible. You can create interior design mood boards (which I’m still playing around with), get inspired by other people’s boards, peruse a selection of home decor, and so much more that I have yet to discover. What drew me in is that you can actually shop the products right from there, so there’s no hunting down the source if you happen to fall in love with anything on this site. Surely a handy one to have bookmarked.